Bozteck VENM Remote Desktop Manager allows you to mass change VNC passwords or Windows authentication settings on remote computers over the network. 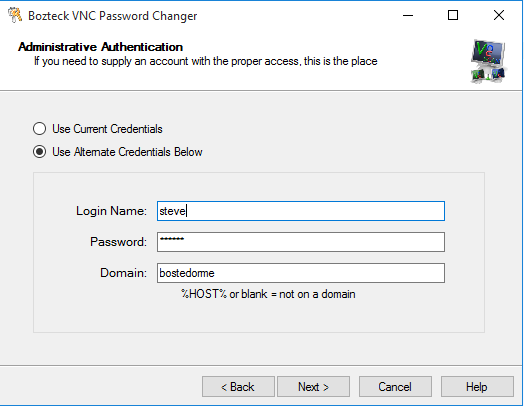 This article will walk you through changing the VNC authentication on a remote computer on the LAN running UltraVNC with Windows Authentication enabled. The process is very similar if you are setting the password for a computer that is using the standard VNC password authentication. To make use of this feature, you must first download and install Bozteck VENM Remote Desktop Manager. Once installed, follow this guide to get the initial setup completed. 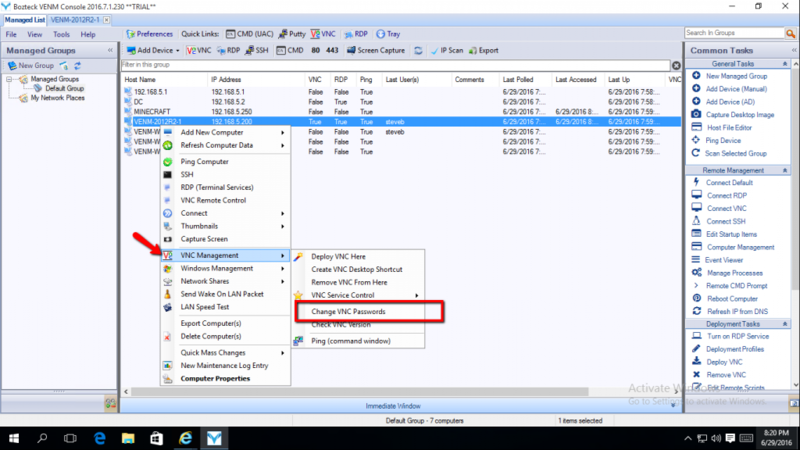 You should now be able to connect to the remote computer(s) using the updated VNC authentication settings. 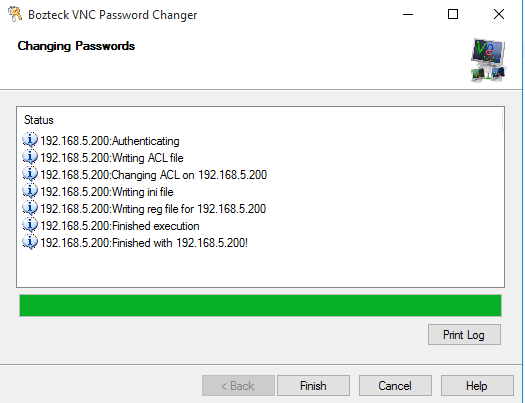 This entry was posted in how-to, howto and tagged bozteck, chage vnc password, mass vnc password, remote change vnc password, remote vnc password, TightVNC, ultravnc, ultravnc msauth, venm, vnc, vnc password. Bookmark the permalink.